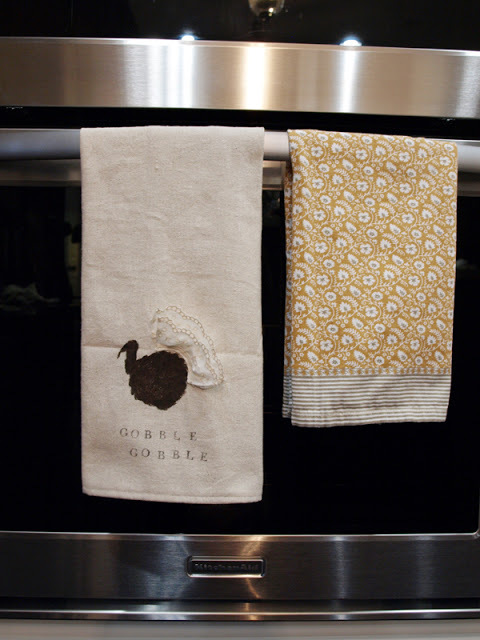 I love this cute Thanksgiving turkey hand towel that Julie made to decorate her kitchen for Thanksgiving, but I say why stop at a hand towel. This cute ruffled turkey would make for some fabulous napkins or even DIY Thanksgiving place mats. You can check out the tutorial for this turkey hand towel over at Less Thank Perfect Life of Bliss.